My mom travelled to the US solo last month and she's still there now. I can see in her pictures that she's enjoying the trip and I am so happy for her. I wish I could have travelled with her but I have a newborn baby to attend to and a Europe travel to prepare for before the year ends. My mom's aunt invited her to travel to Virginia and I can see how she was so reluctant to go at first because for one she really did not like to travel, two she was scared to travel alone (let alone be in a long haul flight alone) and three she thinks she's a little too old for endless walking and wandering. I coaxed her to accept the invitation because it's not something that comes often. She conceded and eventually applied for her US non-immigrant visa and got for herself 10-year multiple entry. My grandma brought my mom to a few of the tourist spots in Virginia and Washington DC so far and I could tell by the look on her face and the sound of her voice every time we FaceTime that she is having the time of her life. She has complained of aching feet but well I guess it's normal for anyone who travels to feel that. I just tell her to enjoy some more and elevate her legs when she gets a chance. "Nagbook ka na naman ng ticket? Nag-aaksaya ka lang ng pera. Kung sinave mo yan eh di mas mabuti." - and on goes her tirade when I inform them that I am headed somewhere. I remember how my mom would always tell me every time I travel that I am wasting my time and money and that I should just save my money in the bank or invest it for my future. Yes, she's one of those who does not appreciate travel. She was not successful in discouraging me though and I always insisted that I feel rich every time I travel because I gain so much experience and I learn different cultures and get to meet other people too that eventually became my friends. I also discover more about myself when I travel. It is also a bonus that I married a Danish gentleman which gives me more reason to travel in the next years to come. 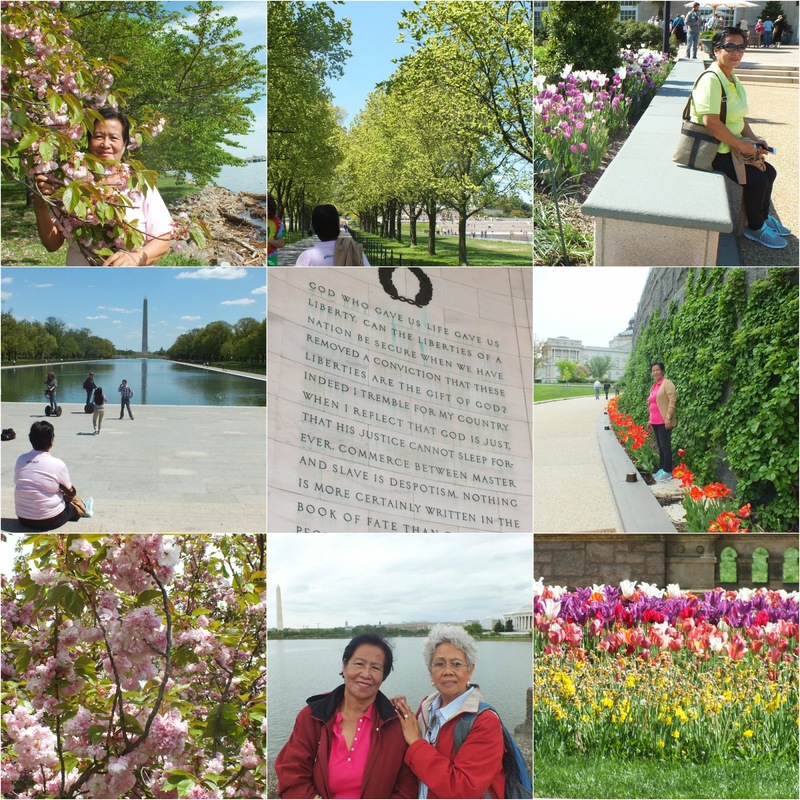 So yes, my mom's first ever travel to the US made her fall in-love with traveling. I knew she'd change her perspective as soon as I learned about my grandma inviting her to go to the US. Plenty of people around the world are not so lucky to get an invitation so I did the best I could to make her accept it. I knew that I just have to encourage her to take the first step and the rest will be easy as pie. I knew that traveling alone will be a challenge for her but the memories she will experience will surely be worth all the hassle. I love how she would tell me about the places they have visited and that she hopes she could also bring dad and the rest of the family when she returns. How about you? 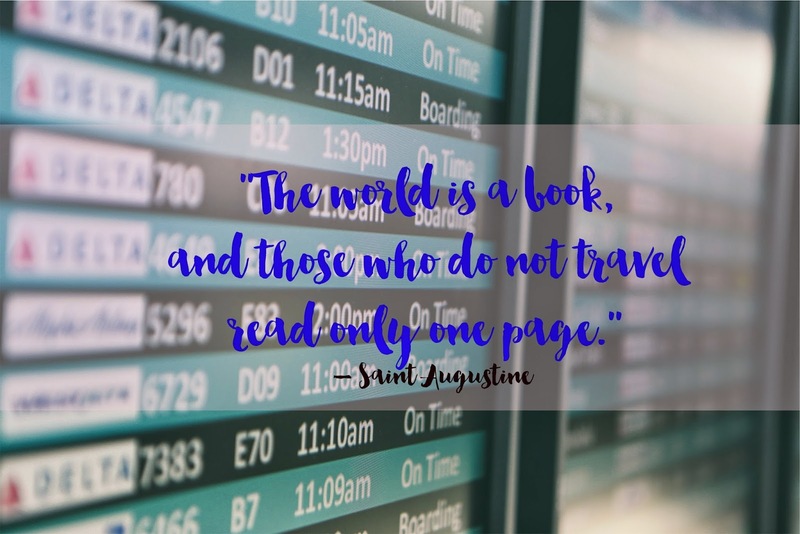 What's one life lesson you learned from traveling?